Built in 1865 the only alteration in the appearance of the structure has been through weathering and the lack of maintenance over a long period of time. It is considered that local mudstone, Harcourt granite (lintels) and hand made bricks are the materials of construction and that the mine represents a good example of Cornish design. It is an important example of industrial archaeology in this state and a monument to the gold rush era of the mid 19th century. No. 328A. 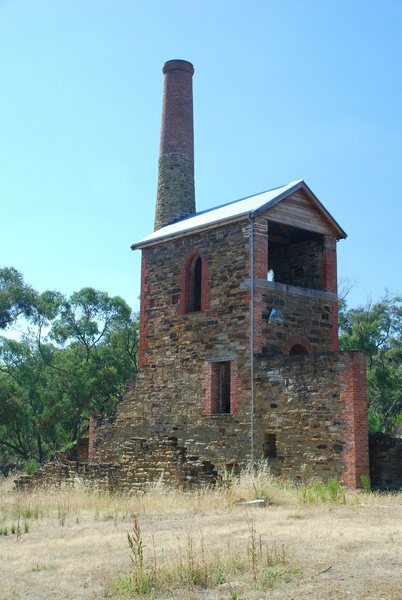 Ruins of Duke of Cornwall Mine, Fryerstown. Register Number 328A now becomes Register Number 385.